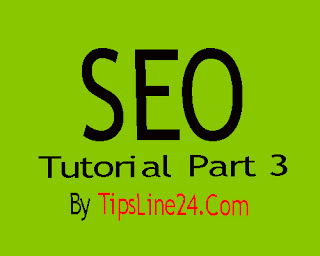 Welcome to Search Engine Optimization Tutorial (SEO) Part 3. Today I will discuss about Link structure and site navigation. Site Navigation & link Structure is very important in SEO. If you want to best result in Search Engine Optimization (SEO) you must follow it. Your site Link structure should be very easy and understandable so that, User and search engine both have the ability to read and understand. Please avoid unnecessary parameters in the URL. below link is an SEO Friendly link structure. Create navigation according to homepage or main page. In order that the user can go from the home page to all the pages of your site and he understands that there have a page here. The user can go from the home page to all the pages of your site and he understands that there is no page now. Use breadcrumb method for this. If you put any picture on your site, then must you will use alt attribute to describe the picture. Sometimes, if the image is not loaded or delayed then alt attribute will appear in the photo place. When you will use this image as a link, this alt text will works in anchor text. It is not good to link too much, but if you have to give it, then put the description in alt attribute that the search engine can read the image.